Check Baby, Check Baby, One, Two, Three, Four.... A migraine-headache waiting to happen is the best way to sum up "Paycheck". 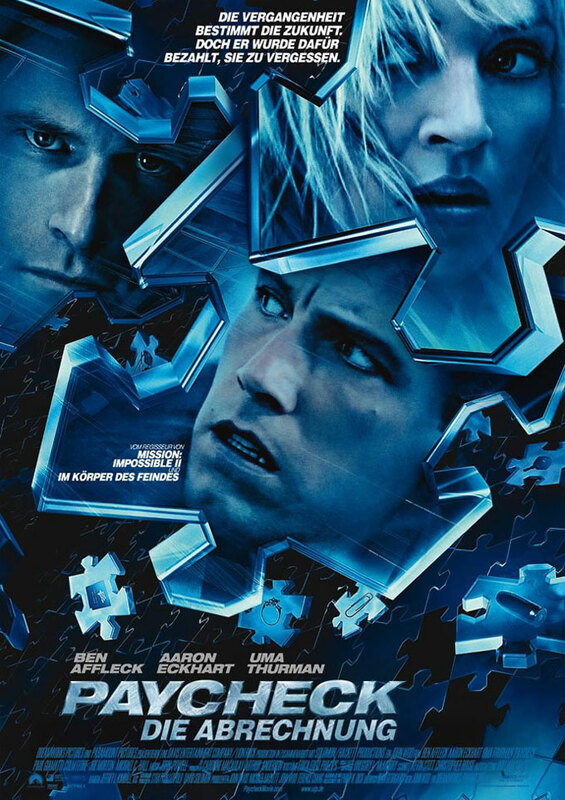 It is one of those films that tries to dazzle with confusion, but ends up being a stupid and down-right dumb attempt to bring in people looking for mindless explosions. Reserve engineer Ben Affleck literally makes millions as an expert who works on products designed by others. He does this to discover how the machine works and eventually improve on it. Thus big futuristic corporations come to him in droves, but when shady associate Aaron Eckhart comes Affleck's way the suspense builds. Affleck, who has been having memories of his work erased, is offered a huge pay-day of over $90 million after he completes a job for Eckhart. Naturally though there is a major catch---the work will take three years to complete. Affleck weighs the options and of course decides that the money is just too much to pass up. All seems to go well until Affleck denies himself his paycheck and he does not know why (because of his memory being erased). An envelope with 19 clues are the keys to why Affleck did what he did. Is it also possible for Affleck to foretell future events now? Scientist Uma Thurman is also along for the winding ride as the lover that Affleck has forgotten. 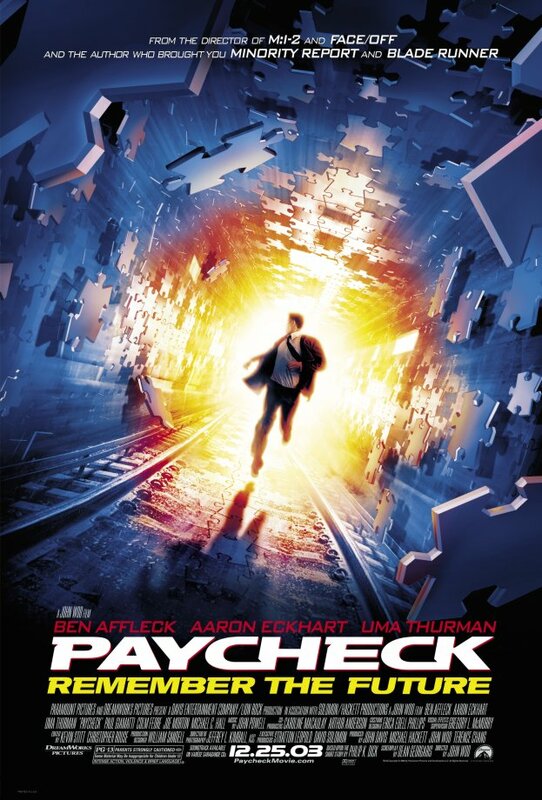 "Paycheck" is pure science fiction trash that makes itself out to be clever, but is never intelligent. The performances are fair, but are almost hard to notice because you are so busy trying to figure out what is going on. Really there is no clear answer to the myriad of questions involved here. I had to ask myself repeatedly what I was even doing watching this. 2.5 out of 5 stars.